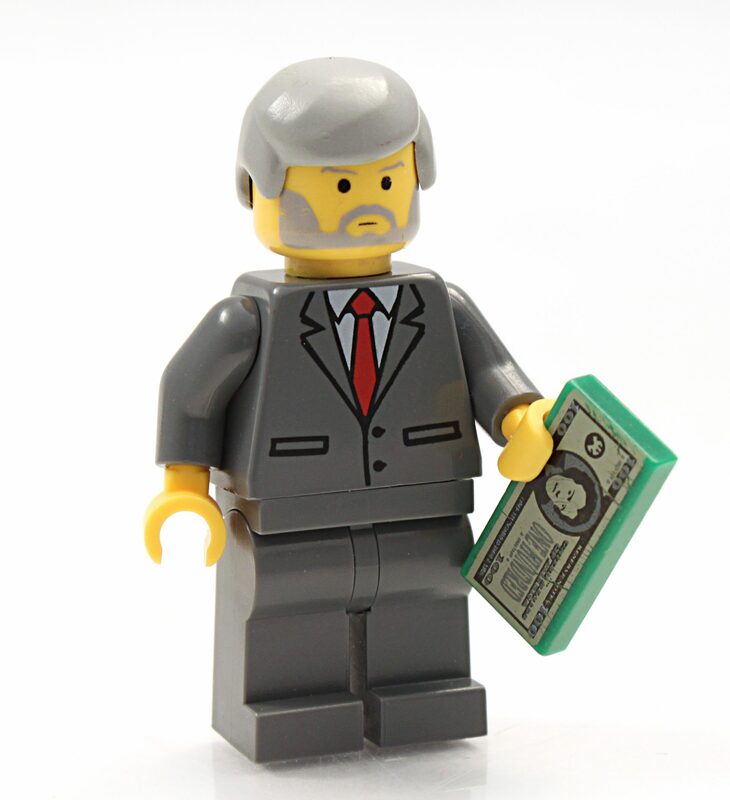 Colorado, USA - Mrach 12, 2015: Studio shot of Lego businessman holding money. Legos are a popular line of plastic construction toys manufactured by The Lego Group, a company based in Denmark. You may want to think twice before donating that old box of LEGOs. The children’s toy is more valuable than gold, according to Russia’s Higher School of Economics. LEGO investments do better than large stocks, bonds, gold, and other investments. People have a lot of nostalgia for the interlocking pieces, and with a new LEGO movie hitting theatres in February and several video games on the market, LEGO is more popular than ever. According to the study, over the past 30 years or so LEGO sets have surpassed gold, stocks, and bonds returns in investment by a whopping 11 percent a year. Higher returns come from small and large LEGO sets, as well as seasonal, architectural, and movie-based sets. Demand increases for smaller sets and individual pieces, some of which are only available in larger LEGO sets. Danish man Ole Kirk Christiansen founded The Lego Group in 1932. Lego comes from the Danish words “leg godt,” which means “play well.” In 2015, The Lego Group had sales of US$2.1 billion, making it the largest toy company by revenue (surpassing Mattel, which had US$1.9 billion in sales).